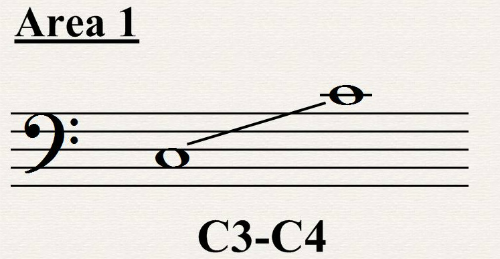 If you’re interested in learning to read bass clef notes, you’ve come to the right place! It all starts right here. Last lesson, we took an in-depth look at the F clef, including its design, and the situations in which it’s most often used. With that introduction behind us, we’re ready to get our hands dirty and dive right in to learning the notes. As we did with treble clef, we’re going to associate the notes on the staff with their corresponding notes on the piano keyboard. This is going give us a visual way to think about the notes. Thinking this way also gives us the advantage of knowing exactly which octave register we’re in at all times (which is super-important). 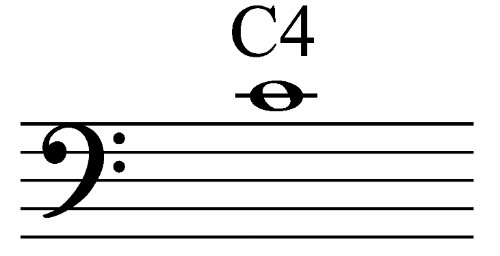 Starting from C4, we’re going to move our way down the staff one note at a time, just to get the hang of learning bass clef notes. And so on. 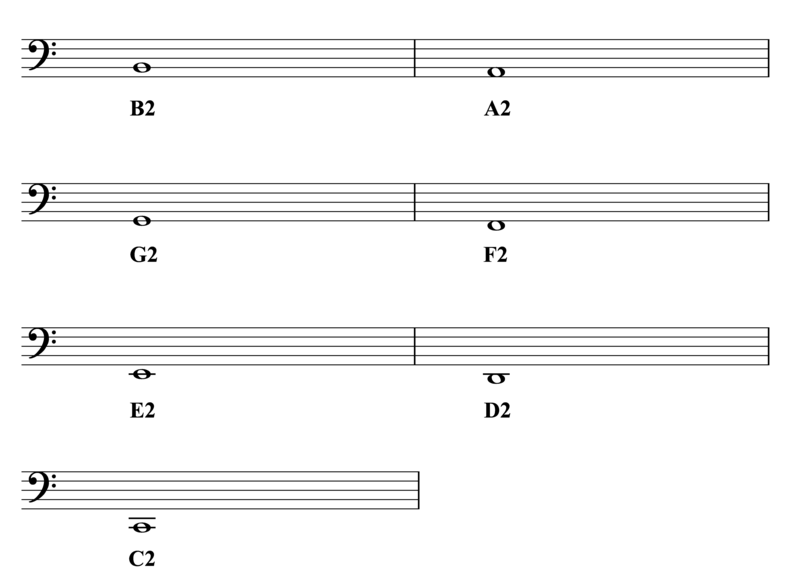 Every line or space gets the next note, up or down (depending on which direction you’re going). 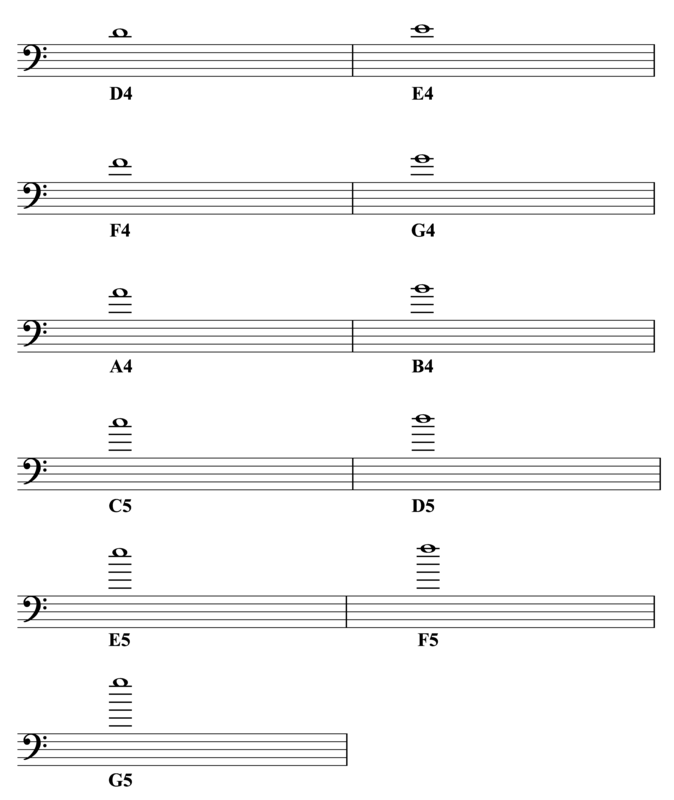 Now that we have the hang of it, we’re going to learn the rest of the notes. 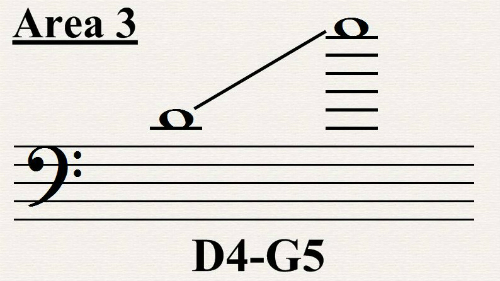 Just like we did with treble clef, we are going to simplify things as much as possible, by dividing the bass clef notes into just 4 areas – which should make our job a whole lot easier! 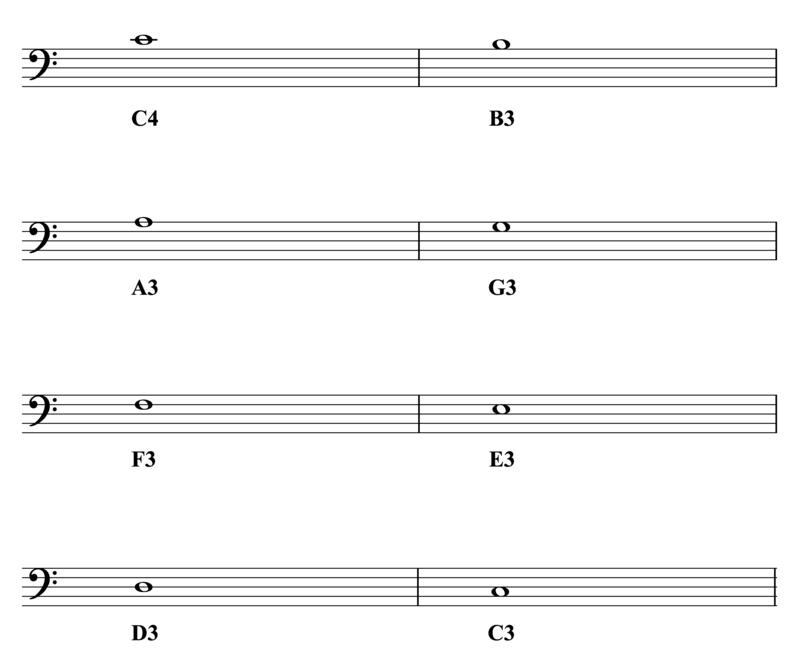 The first area we’re going to look at is appropriately called Area #1, which consists of the notes from C3 to C4. 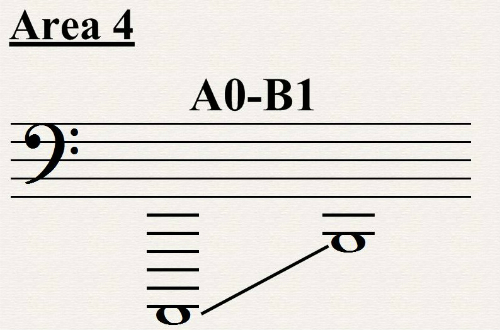 Below you will find a reference chart for the bass clef notes in Area #1 (going downward from C4). The chart can be downloaded here. 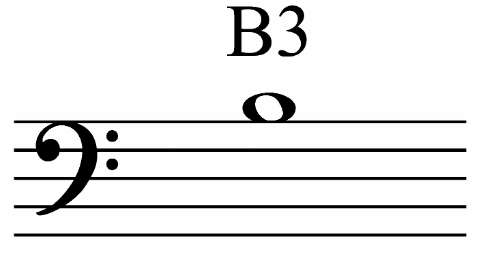 The two areas we’ ve discussed so far cover the main area of the bass clef. The remaining areas are the far extensions above and below the staff. Pretend the note you’re looking at was written in treble clef. Then simply take the result, add two notes, and subtract two octaves. With a little practice, you can get pretty quick at this conversion. Obviously, the better we are at treble clef, the easier it will be. However, keep in mind that the eventual goal is to know the notes of alto clef just by looking, without using any tricks. 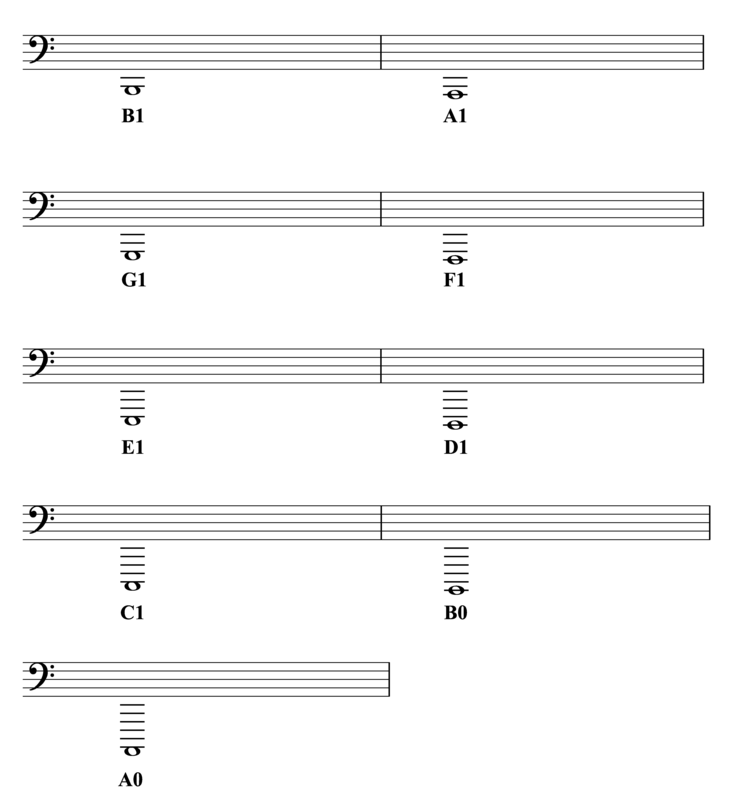 In case some people may find them helpful, we will mention some mnemonics for learning bass clef notes. In another lesson, we’ll learn several excellent practice techniques. It’s important to find 1 or 2 techniques that work for you, so that you can start practicing every day. Even five minutes a day will work; it’s more important to practice consistently than it is to practice for a long time.